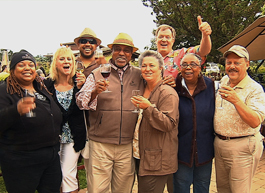 DeLoach Loyalty Rewards – where our valued friends are rewarded for their dedication to DeLoach Vineyards and our sister properties: Buena Vista Winery, JCB Collection, Raymond Vineyards and Wattle Creek Winery! With every dollar you spend – in person, online or by phone – you will earn 3 loyalty points. 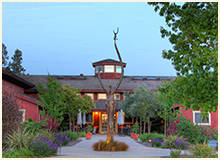 Points are earned on purchases of wine, merchandise and experiences (excluding tax and shipping) at any of the Boisset Collection wineries. Additionally, you will have the opportunity to earn points through special offers and referrals. Our Wine Club Members also receive bonus points for membership milestones, birthdays, referrals and more! This program does not apply to our Ambassador and Wine Society member programs. For questions, please contact [email protected] or 707.755.3300. To register or view your loyalty point balance, click here. Accrued points can be redeemed for a set of indulgent guest experiences; rewards range from private tastings at the winery to overnight stays in wine country or the ultimate reward – a three day getaway for you and a guest with an itinerary guaranteed to amaze. For those unable to join us in Wine Country, look for our catalog and redeem your Loyalty Reward Points for exclusive DeLoach Vineyard and Boisset merchandise. 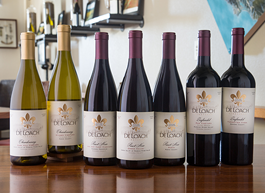 All Wine Club members with DeLoach Vineyards and our sister properties are automatically enrolled in the Loyalty Reward program and start accruing points with their first purchase. Additionally, if you currently receive our email updates and/or have purchased from any of our collection of wineries in the past, you have automatically been enrolled in the program as well. If not, you can join by simply signing up for our email list or wine club.